BFD 3 (Download) - $349. PG Music Band-in-a-Box is a snap to use - just type in the chords for any song using standard chord symbols (like C, Fm7 or C13b9), choose the style you'd like, and this incredible software does the rest. 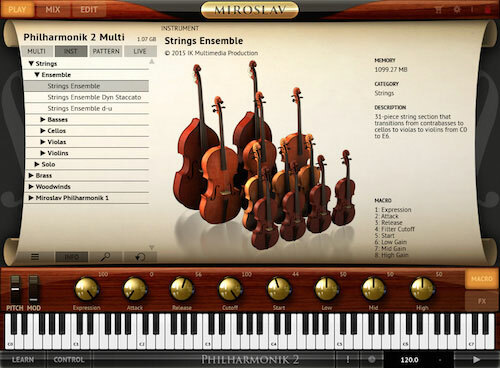 Band-in-a-Box automatically generates a complete professional quality arrangement of piano, bass, drums, guitar and strings in a wide variety of popular styles (jazz, pop, country, classical, and more). 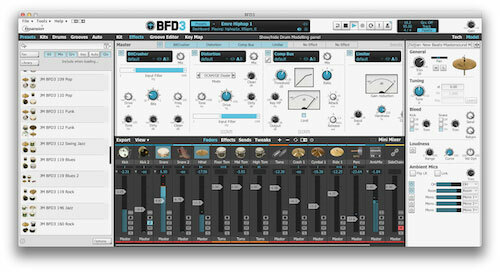 It's now easier than ever to get amazing, realistic-sounding arrangements straight from your PC. 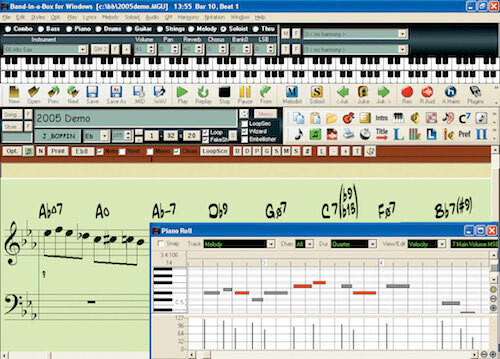 Along with RealDrums, there are three additional "Real" instruments, including Real Pedal Steel, Real Acoustic Guitar, and Tenor Sax soloing (RealSax). 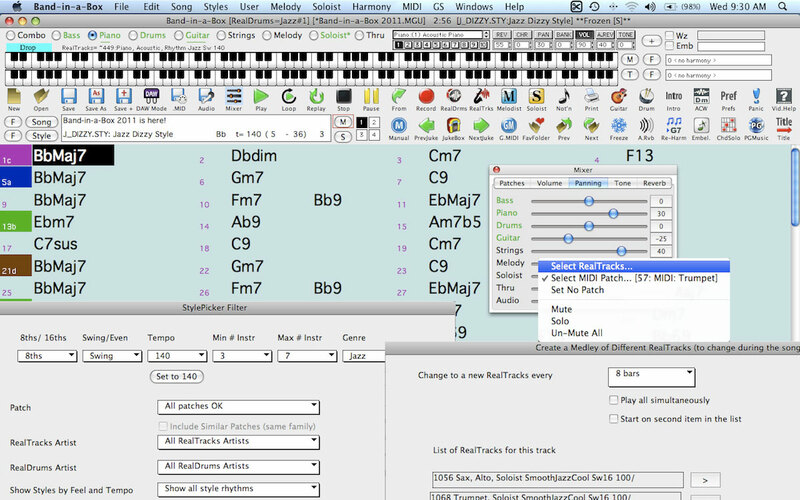 These tracks replace the MIDI track for that instrument, and can be controlled just like the MIDI instrument (volume changes, muting etc.). Best of all, they follow the chord progression that you have entered, so that you hear an authentic audio accompaniment to your song. These are not "samples," but are full recordings, lasting from 1 to 8 bars at a time, playing along in perfect sync with the other Band-in-a-Box tracks. 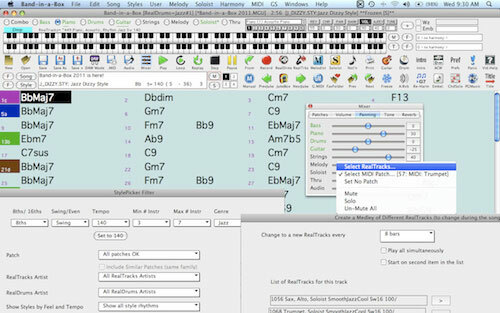 RealTracks can be built in to the style, and would replace either the bass, guitar, piano, or strings part, or they can be generated to the Soloist (or Melody) track using the Soloist feature. The amazing "Chords from MP3" feature (Audio Chord Wizard) automatically figures out the chords from any MP3, WAV or WMA audio file, and displays them in Band-in-a-Box. Just load in any MP3 file and you'll instantly see the chords. 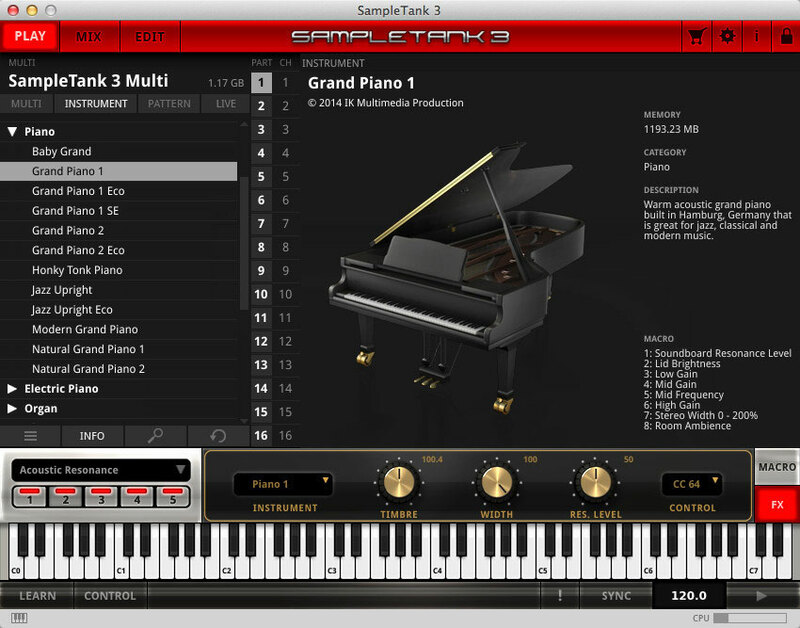 The Audio Wizard also figures out tempo, bar lines, key and fine-tuning from the MP3, WAV or WMA audio file. Inside Band-in-a-Box, there are styles that can have anywhere from 4 to 24 substyles. 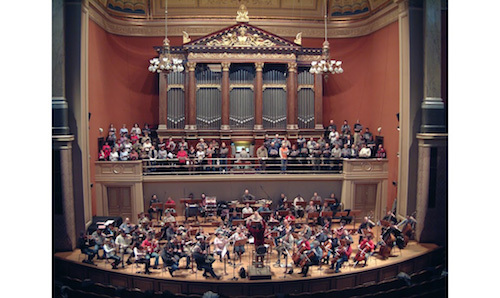 Previous Band-in-a-Box Styles were limited to 2 substyles ("a" and "b"). Now, for example, a MultiStyle with 4 substyles (First Verse, Verse, Chorus, Break) can be used, and you select the various sections using "a"/"b"/"c"/"d" part markers. Some of our newest Styles Sets are MultiStyles, typically with 4 substyles, but some Techno Styles have 24 substyles. You can easily make your own MultiStyles, either from scratch, or combining parts from existing Styles to make a MultiStyle. For example, if you have 10 favorite Country Styles, you can quickly make a single MultiStyle that has 20 substyles available within the same song. 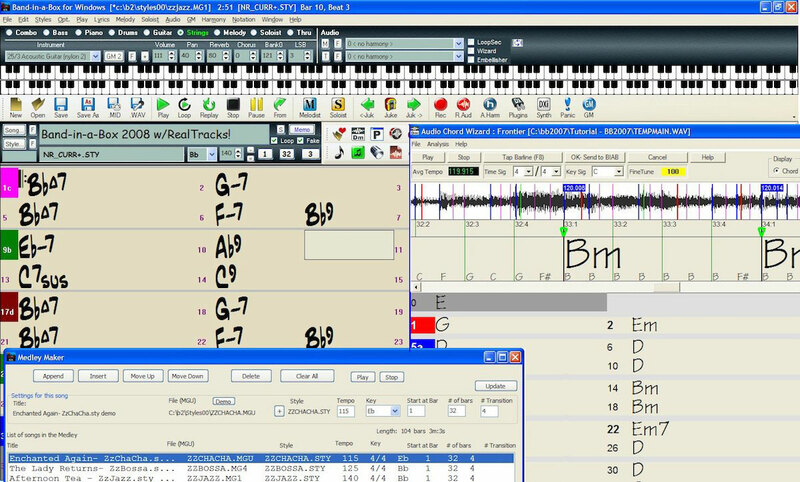 *RealCombos: Over 200 RealTracks instruments in 38 Bands! *Artist Names and Bios for RealTracks. to Band In A Box Pro (Mac)2015 - $59. *Requires Band In A Box 2014 Mac. 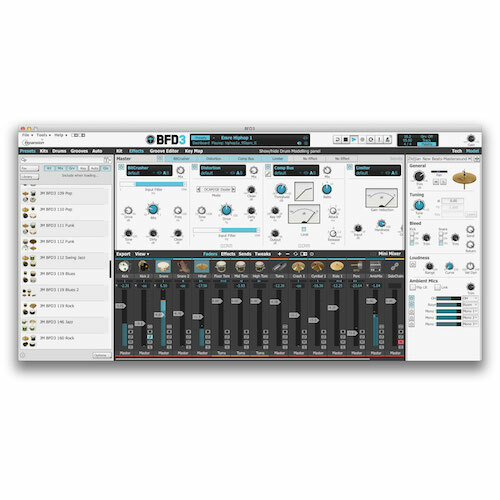 to Band In A Box Pro (Mac)2015 - $69. *Requires Band In A Box 2013 Mac. to 2015 PlusPAK (Mac) $99. 1000 dub step, Modern and Top 40 Loops. *MegaRealCombos: Over 460 RealTracks instruments in 60 Bands! 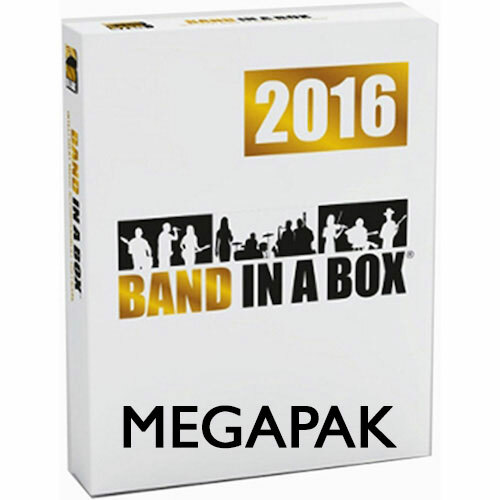 to Band In A Box MegaPAK (Mac)2015 - $129. *Requires Band In A Box MegaPAK 2014 Mac. 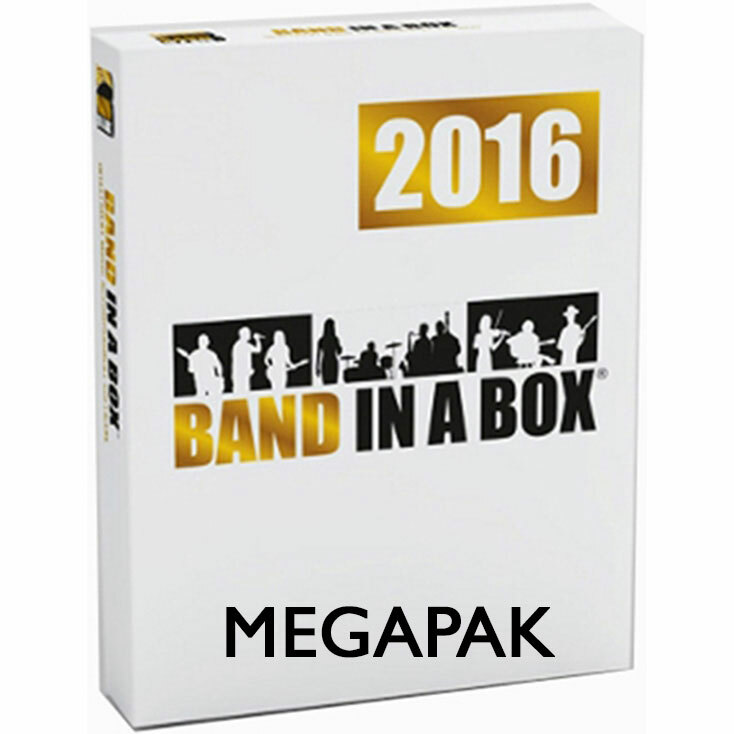 to Band In A Box MegaPAK (Mac)2015 - $139. 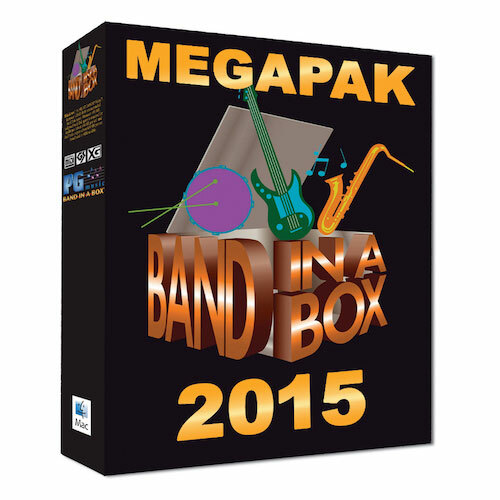 *Requires Band In A Box MegaPAK 2013 Mac. If you're serious about songwriting, then you can't limit yourself to just a handful of styles. PG Music's Band-in-a-Box UltraPlusPAK gives you all the tools you need to cover every major music style out there. Band-in-a-Box UltraPlusPAK starts with PG Music's wildly successful Band-in-a-Box songwriting software and adds an impressive collection of content to your library - so much, in fact, that Band-in-a-Box UltraPlusPAK ships to you on its own 160GB USB hard drive. 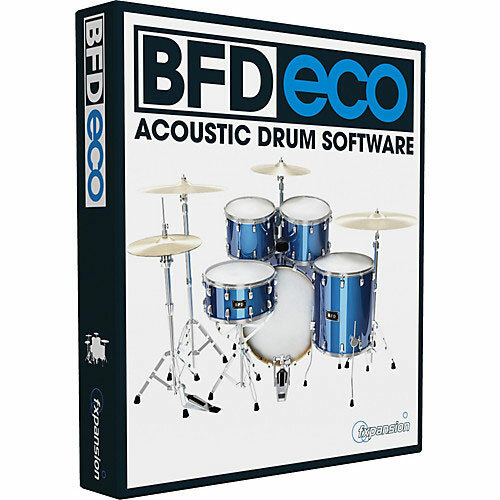 This content includes almost every RealTracks Set, RealDrums Set, Style Set, Soloist Set, and Melodist Set, as well as several others, giving you the ability to easily lay out songs in styles ranging from pop to polka, country to metal, and more! 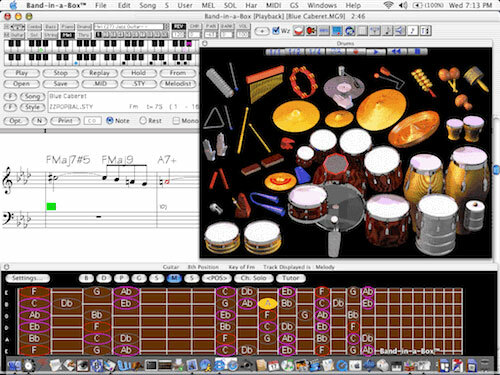 Band-in-a-Box UltraPlusPAK features RealDrums. 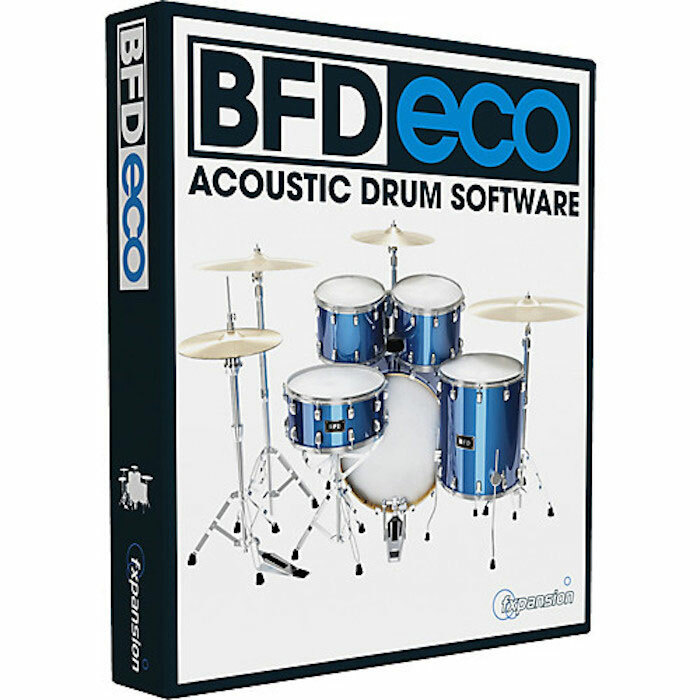 These are audio drum styles that replace the MIDI Drum track with actual recordings of top studio Jazz/Rock/Country drummers. These are not "samples" of single drum hits; they are full recordings, lasting from 1 to 8 bars, playing along in perfect sync with the other Band-in-a-Box UltraPlusPAK tracks. The results are dramatically better than MIDI; they sound like a real drummer because they are recordings of a real drummer. 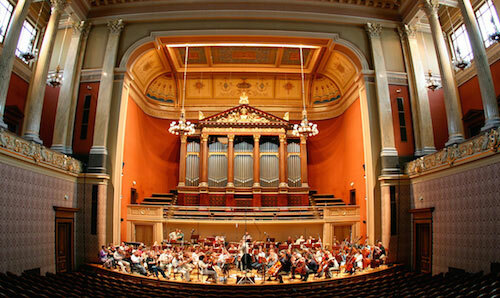 And adding a real instrument to the mix makes all of the Band-in-a-Box UltraPlusPAK parts sound more authentic. Along with RealDrums, there are three additional "Real" instruments, including Real Pedal Steel, Real Acoustic Guitar, and Tenor Sax soloing (RealSax). 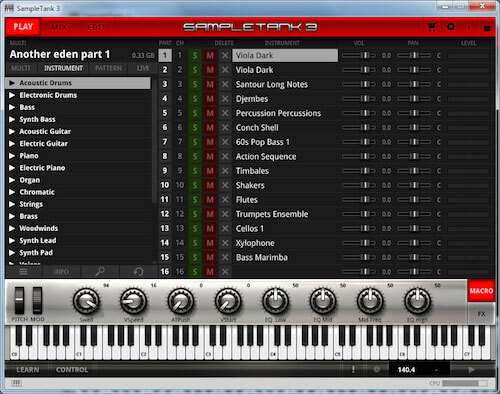 These tracks replace the MIDI track for that instrument, and can be controlled just like the MIDI instrument (volume changes, muting etc.). Best of all, they follow the chord progression that you have entered, so that you hear an authentic audio accompaniment to your song. These are not "samples," but are full recordings, lasting up to 8 bars, playing along in perfect sync with the other Band-in-a-Box tracks. 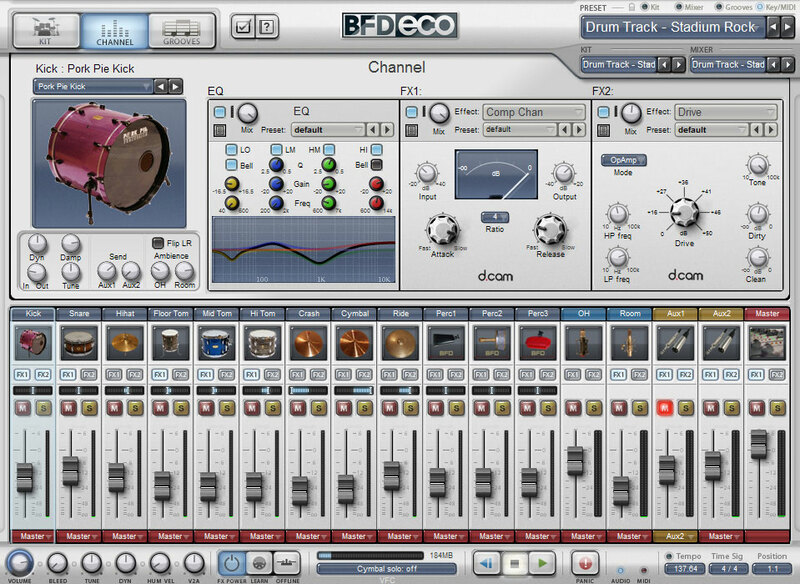 RealTracks can be built in to the style, and would replace either the bass, guitar, piano, or strings part, or they can be generated to the Soloist (or Melody) track using the Soloist feature. The amazing "Chords from MP3" feature (Audio Chord Wizard) automatically figures out the chords from any MP3, WAV or WMA audio file, and displays them in Band-in-a-Box UltraPlusPAK. Just load in any MP3 file and you'll instantly see the chords. 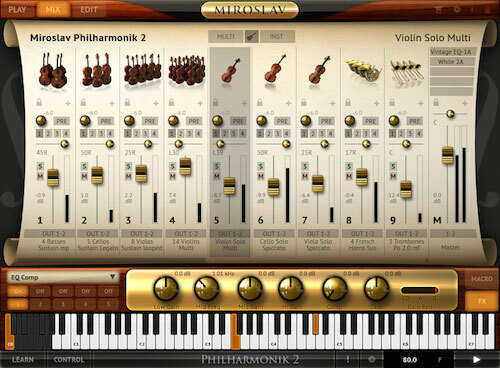 The Audio Wizard also figures out tempo, bar lines, key and fine-tuning from the MP3, WAV or WMA audio file. Inside Band-in-a-Box UltraPlusPAK, there are styles that can have four-plus substyles. While previous versions were limited to two substyles, now there are MultiStyles which allow you to choose more. For example you can have a MultiStyle with four substyles such as First Verse, Verse, Chorus, and Break, usually designated using "a"/"b"/"c"/"d" part markers. Most MultiStyles typically have four substyles, but some Techno Styles have up to 24 substyles. You can also create your own MutliStyles from scratch or by combining existing Styles. 49-PAK: Limited Edition RealTracks, MIDI SuperTracks, Instrumental Studies and Artist Performances. Artist Names and Bios for RealTracks. to Band In A Box UltraPlusPAK (Mac)2015 - $259. *Requires Band In A Box UltraPlusPAK 2014 Mac. 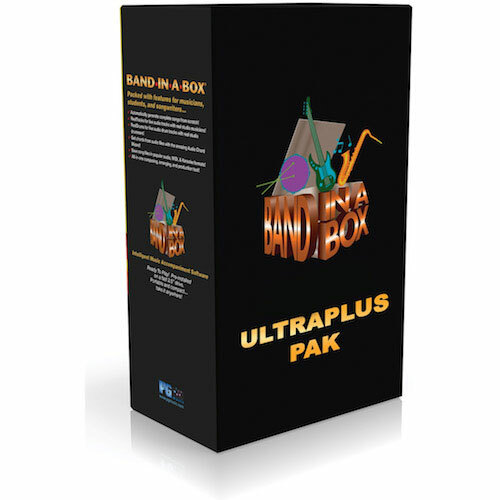 to Band In A Box UltraPlusPAK (Mac)2015 - $269. *Requires Band In A Box UltraPlusPAK 2013 Mac. If you're serious about songwriting, then you can't limit yourself to just a handful of styles. 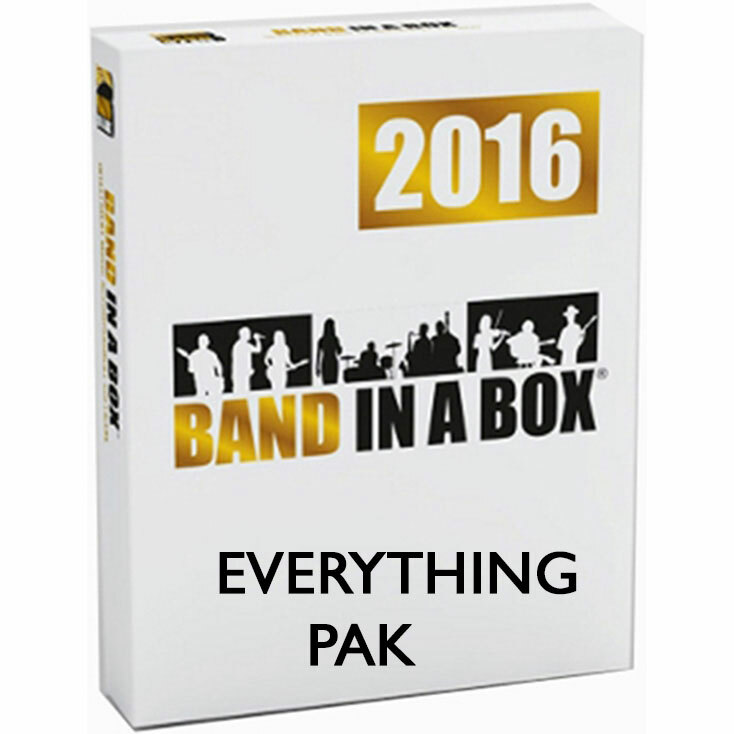 PG Music's Band-in-a-Box EverythingPAK with RealBand gives you all the tools you need to cover every major music style out there. 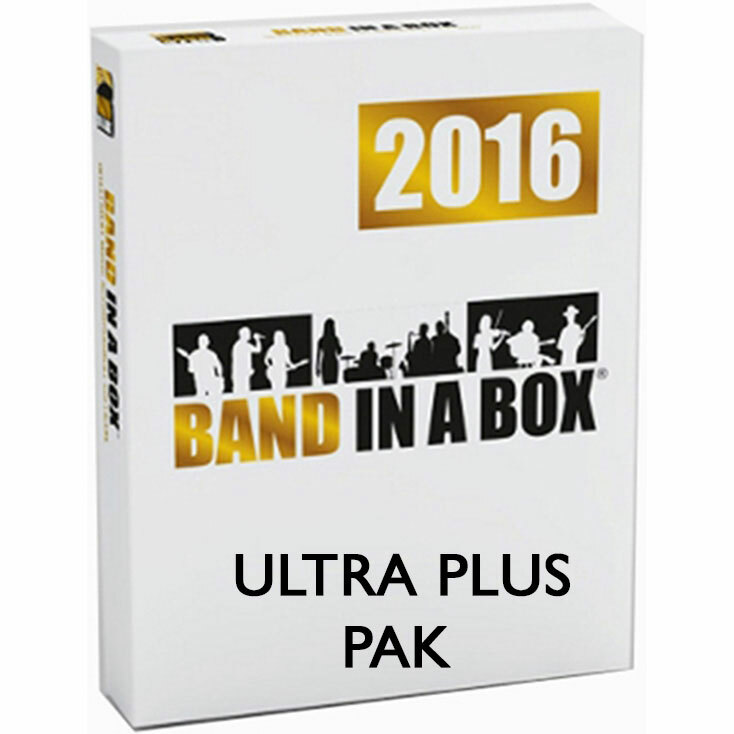 Band-in-a-Box EverythingPAK with RealBand starts with PG Music's wildly successful Band-in-a-Box songwriting software and adds an impressive collection of content to your library — so much, in fact, that Band-in-a-Box EverythingPAK with RealBand ships to you on its own 160GB USB hard drive. 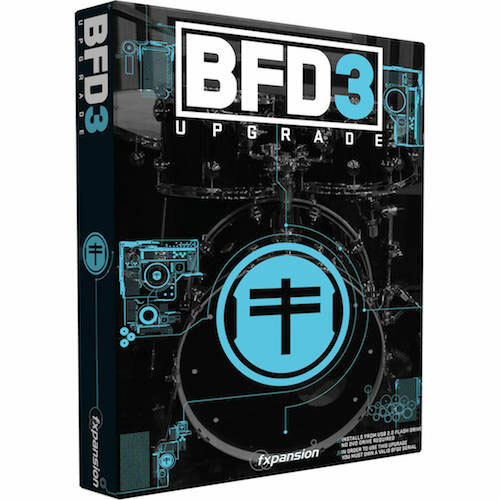 This content includes almost every RealTracks Set, RealDrums Set, Style Set, Soloist Set, and Melodist Set, as well as several others, giving you the ability to easily lay out songs in styles ranging from pop to polka, country to metal, and more! 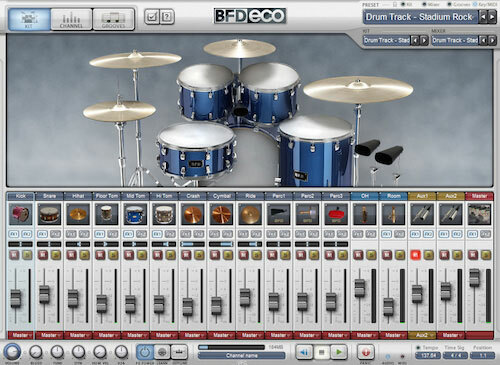 RealDrums Sets 1-29 — ALL! to Band In A Box EverythingPAK (Mac)2015 - $359. *Requires Band In A Box EverythingPAK 2014 Mac. 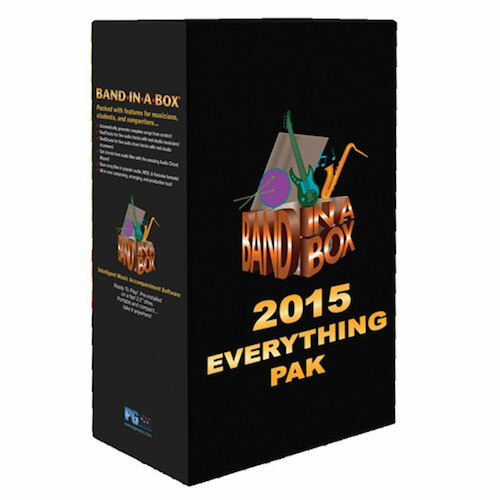 to Band In A Box EverythingPAK (Mac)2015 - $369. *Requires Band In A Box EverythingPAK 2013 Mac. to Band In A Box Pro (Windows)2016 - $59. *Requires Band In A Box 2015 Windows. to Band In A Box Pro (Windows)2016 - $69. Mega RealCombos: Over 460 RealTracks in 60 Bands. 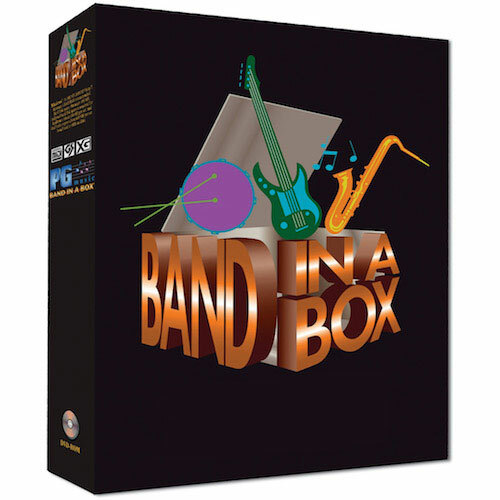 PG Music Band-in-a-Box is a snap to use - just type in the chords for any song using standard chord symbols (like C, Fm7 or C13b9), choose the you'd like, and this incredible software does the rest. 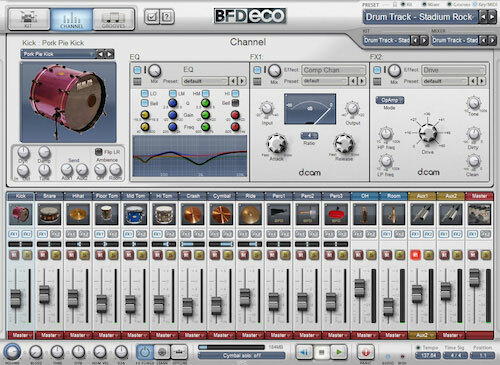 Band-in-a-Box automatically generates a complete professional quality arrangement of piano, bass, drums, guitar and strings in a wide variety of popular styles (jazz, pop, country, classical, and more). It's now easier than ever to get amazing, realistic-sounding arrangements straight from your PC. Over 2,000 RealTracks ‐ Listen to demos! 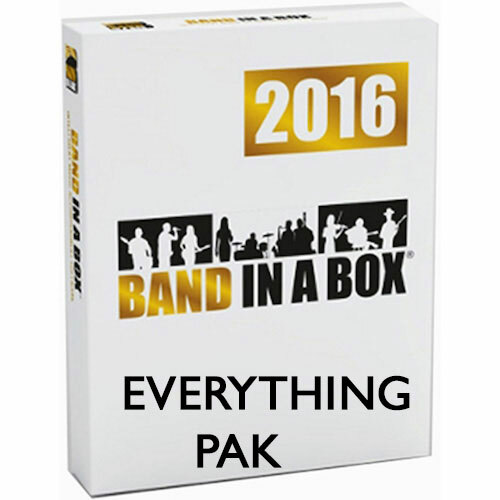 Band In A Box Everything Pak 2016 for Windows (Download) - $479. *does not include Jeff Lorber Soloist Sets 14 & 15. 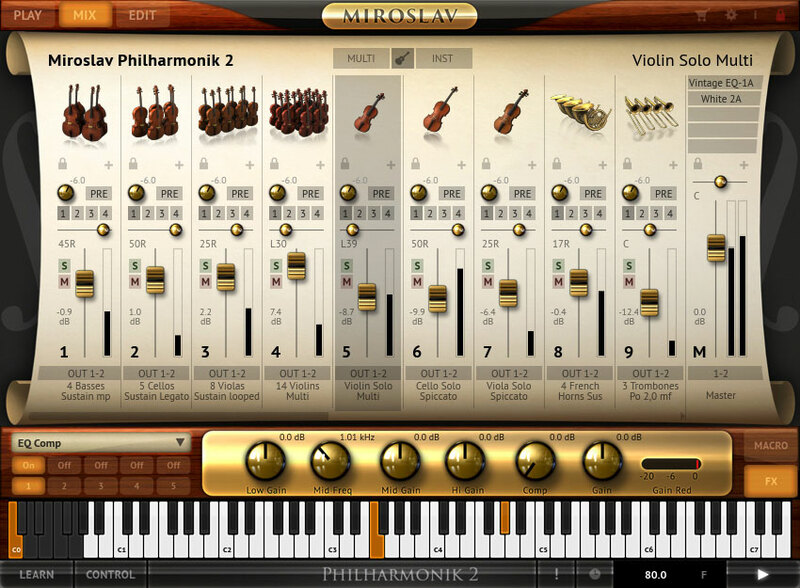 IK Multimedia-Miroslav Philharmonik (Download)- $149. 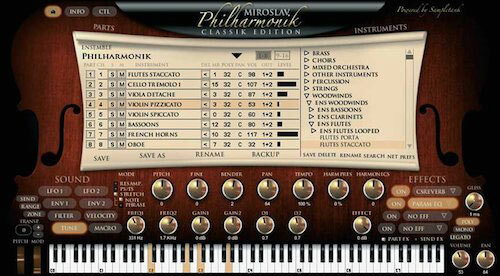 Miroslav Philharmonik is a powerful, integrated Orchestral Workstation incorporating the legendary Miroslav Vitous Symphonic Orchestra and Choir Sample collections into a dedicated plug-in instrument specifically tailored for classical sounds and arrangements. For the first time this famous and historical symphonic collection is available as a virtual instrument plug-in for a fraction of its original price. 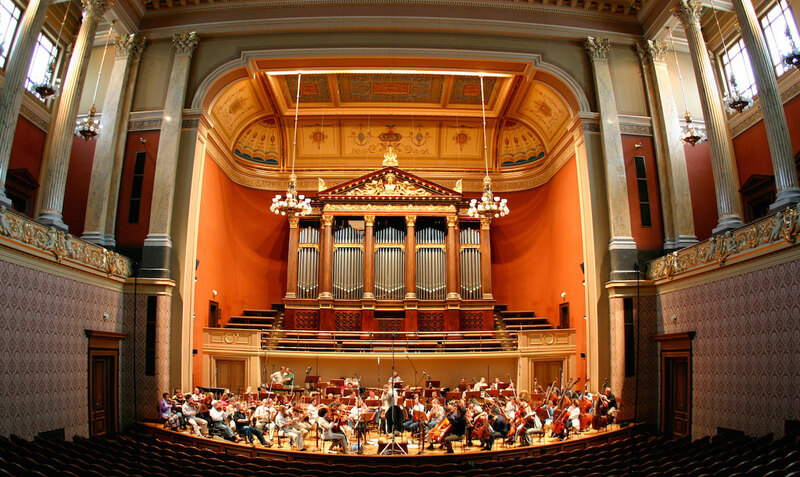 Beautifully recorded at the Dvorák Symphony Hall in Prague by Miroslav Vitous with the Czech Philharmonic Orchestra, these sounds have a texture, warmth, and beauty that is unrivalled in the sample world. Now you can have them at your fingertips and on call any time of the day or night. 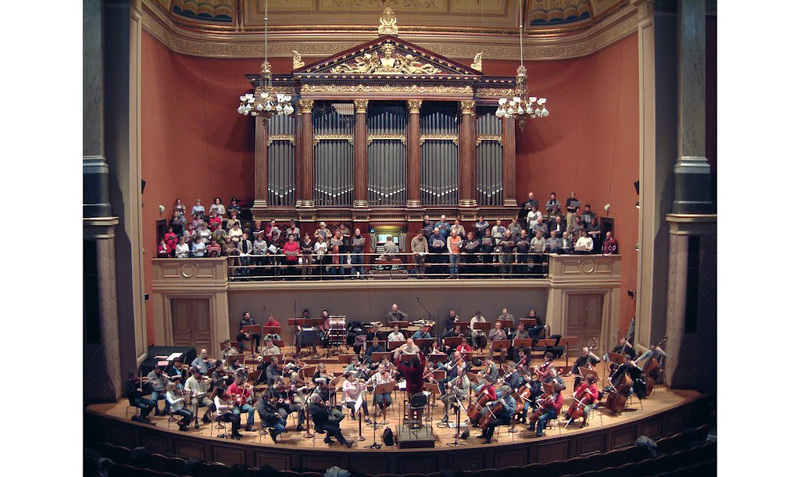 Miroslav Vitous Symphonic Orchestra and Choir Samples are some of the most playable and inspiring sounds ever produced for symphonic arrangements and composition. 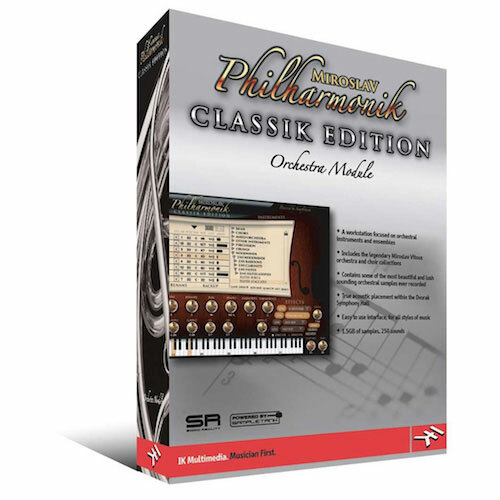 They’ve marked the aural atmosphere of hundreds of movies and productions and have become the tool of choice for many award winning composers. 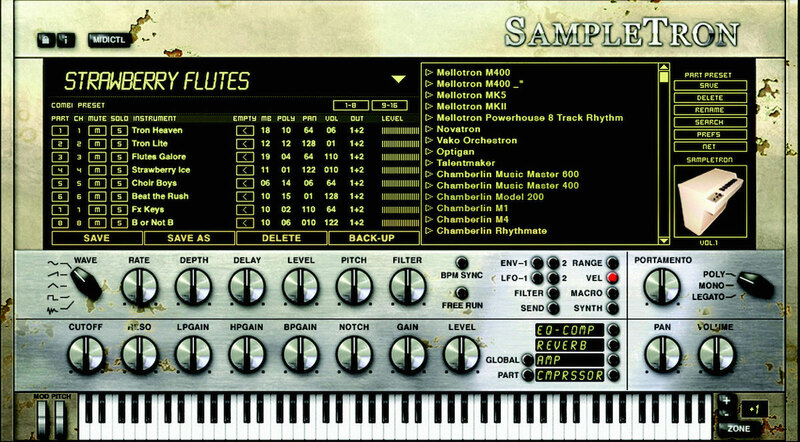 Available as VST, RTAS, DXi, AU. 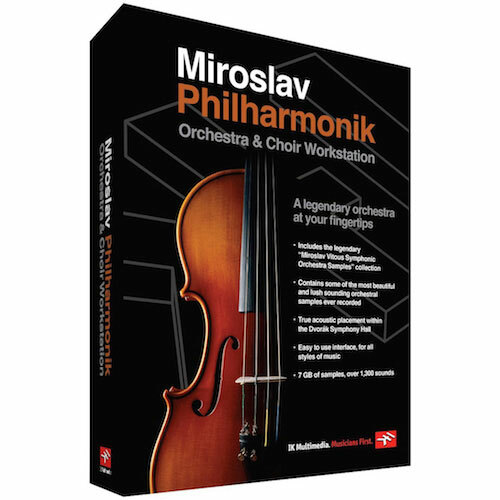 Miroslav Philharmonik Classik Edition (Download)- $79. 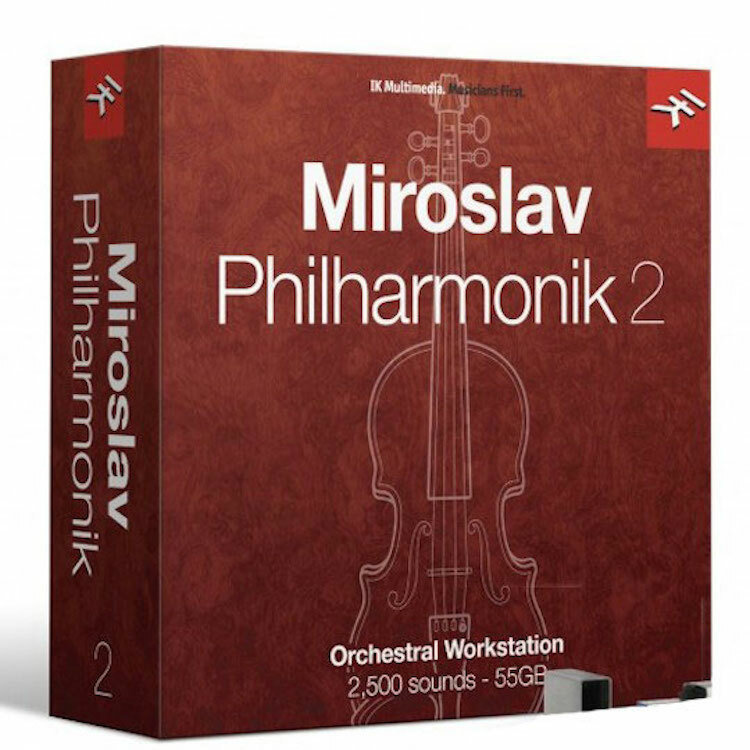 Miroslav Philharmonik Classik Edition includes 250 sounds and 1.5 GB of samples from the original Miroslav Orchestra and Choir collections recorded at high resolution by Miroslav Vitous. 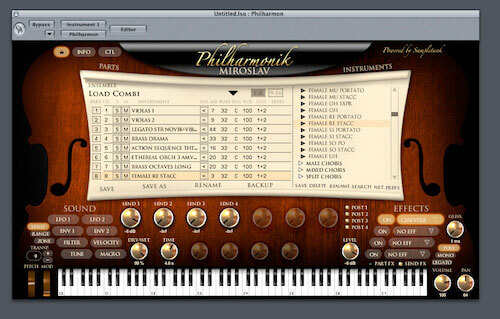 And, all of the Miroslav Philharmonik sounds can be opened, manipulated and played by SampleTank 2.5. 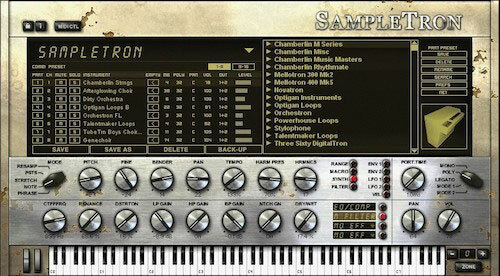 SampleTron is a virtual instrument that combines the authentic recreation of “Tron” sounds such as Mellotrons, Chamberlins, and Optigans with the powerful editing and playback features of the SampleTank engine. 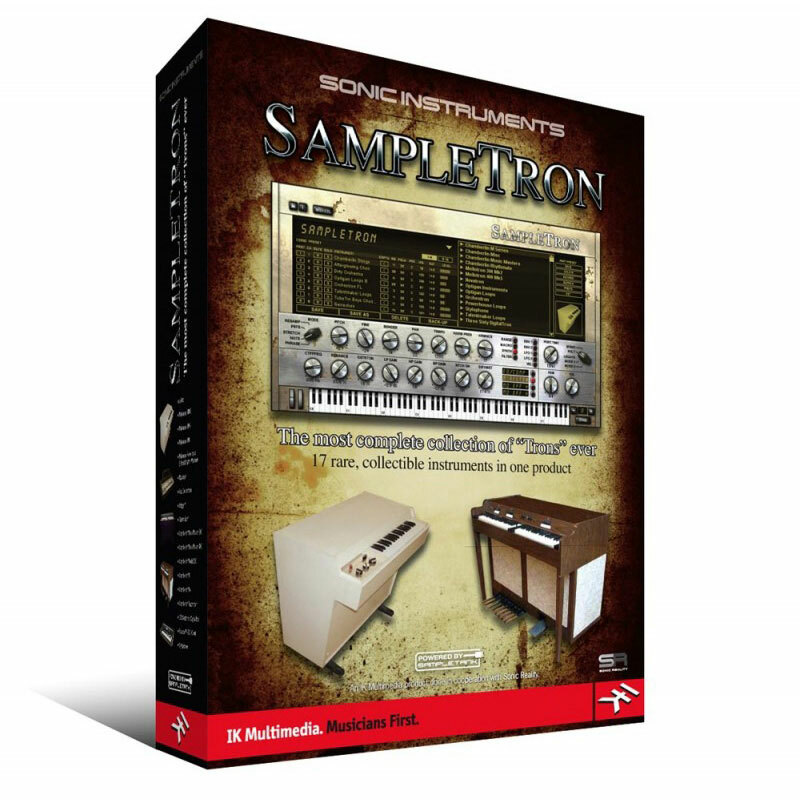 No other product allows you to manipulate, process and stretch such gritty, emotional and quirky lo-fi sounds all from within a single powerful and easy to use interface like SampleTron. 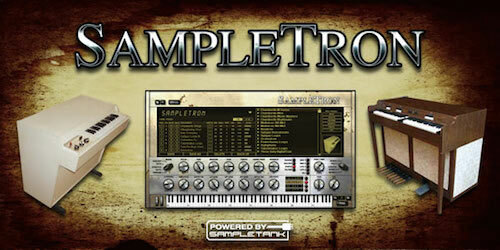 SampleTron is a virtual instrument made for many styles from hip hop to electronic to classic rock and offers some of the most unique musically useful tones you can imagine. From the nostalgic sounds used by The Beatles, Moody Blues, Genesis, Yes and other rock bands of the 60’s and 70’s to the modern production of artists like Kanye West, Smashing Pumpkins and Beck to new sonic creations now possible only with SampleTron, the sounds in this package are diverse, powerful and inspiring! 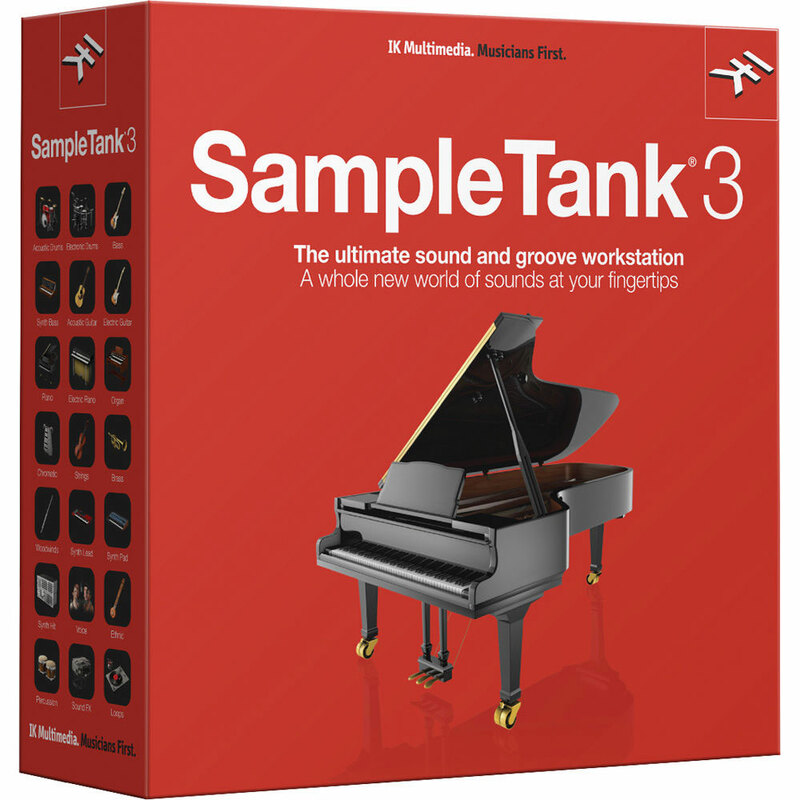 What makes SampleTank 3 so powerful is its extraordinarily large sound library. 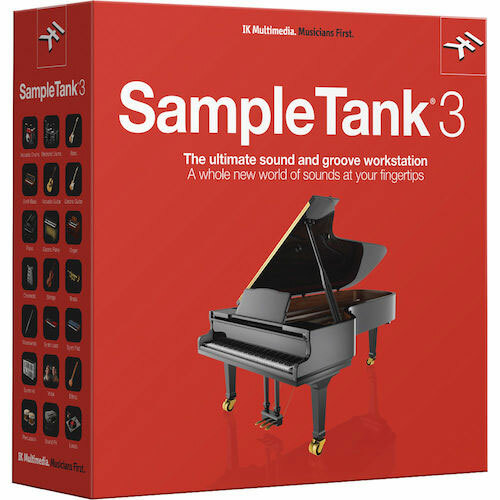 SampleTank 3 now comes with over 33 gigabytes of professionally recorded instruments — that’s over 4,000 instruments in 21 instrument categories — far more than most other music workstations out-of-the-box. 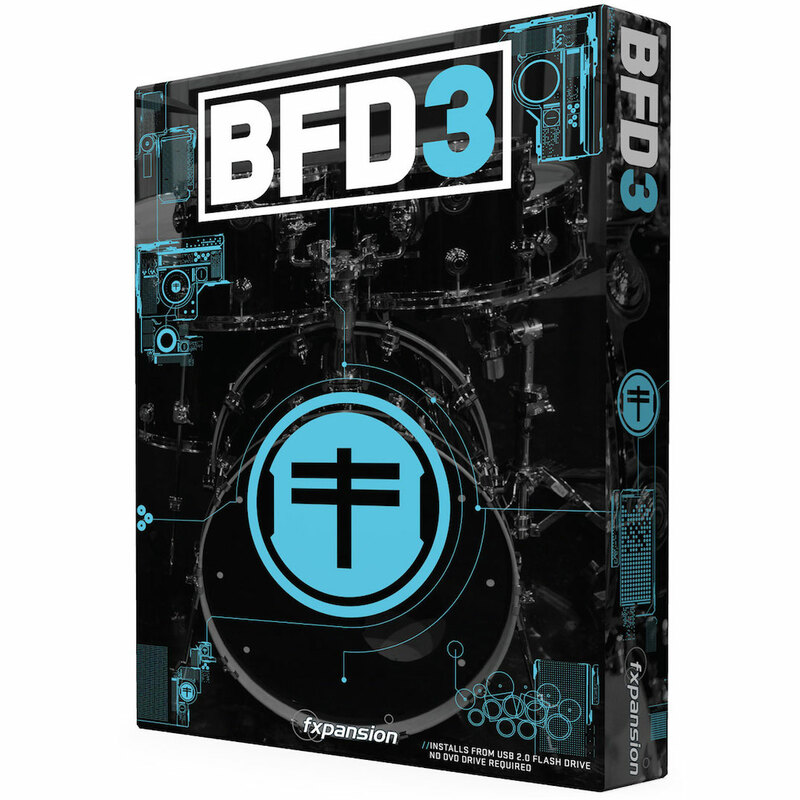 Plus, SampleTank 3 includes over 2,500 drum, percussion and full groove construction kit loops and over 2,000 MIDI patterns for its brand new MIDI player section. (Download)- $349.